REDUCE PRICE Seller Motivated.. Great Ranch home in Riverdale village! Open floor plan that guides you to the large family room for relaxing or entertaining guest near the fireplace. Also, a very large kitchen with a lot of cabinets and counter tops for that cook in your home. The main floors also feature a Master bedroom and 5-piece bath also 2 additional bedrooms and 1 full baths. There is full basement that is partially finished with a separate bedroom and full bathroom, the rest is open for storage and your completion. 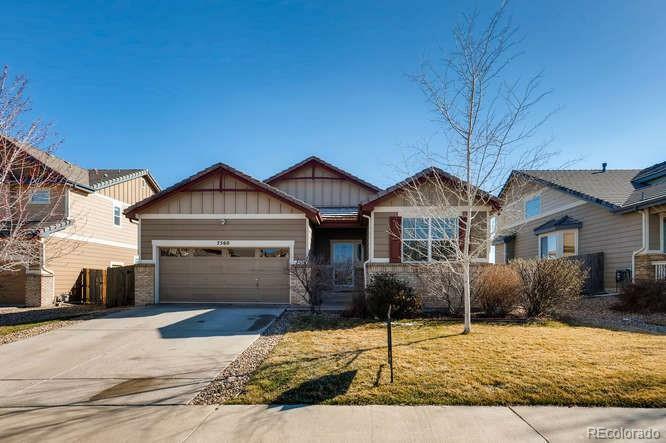 In the back there is a covered patio or deck for your grill and outdoor furniture to enjoy our Colorado sunsets also the yard is nicely landscaped with sprinklers your convenience. Come and take look!